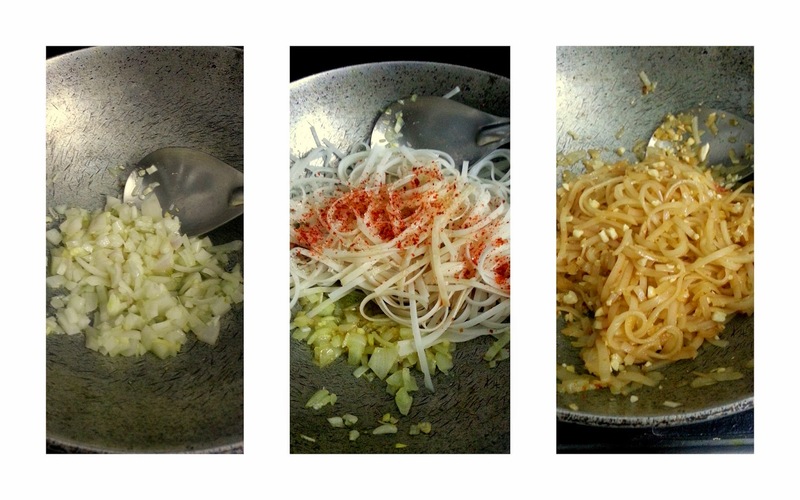 fascinatingfoodworld: Path Thai- Classic Thai dish! Path Thai- Classic Thai dish! 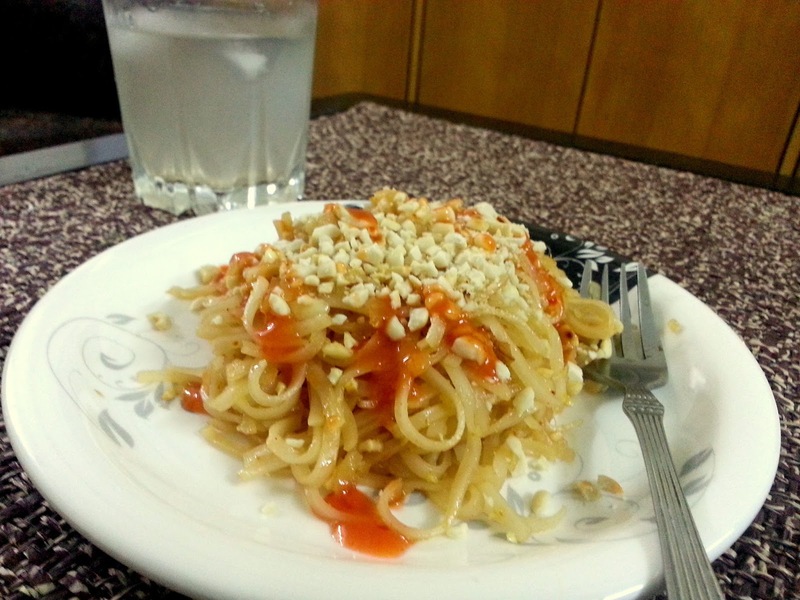 I first got introduced to Thai food when I had Pad Thai prepared by my bhabhi Meenu! 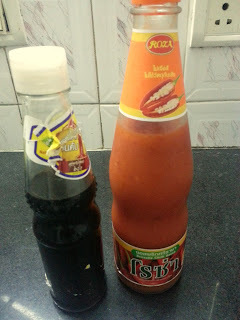 It was since then that I was always curious to taste more and more Thai food. Usually in India, we get Thai green curry everywhere but I was so dying to experience more. Finally got the opportunity when I stayed in Bangkok for a week this summer. Thai food is healthy, clean and simple. Unlike to what people think, it is not at all heavy. 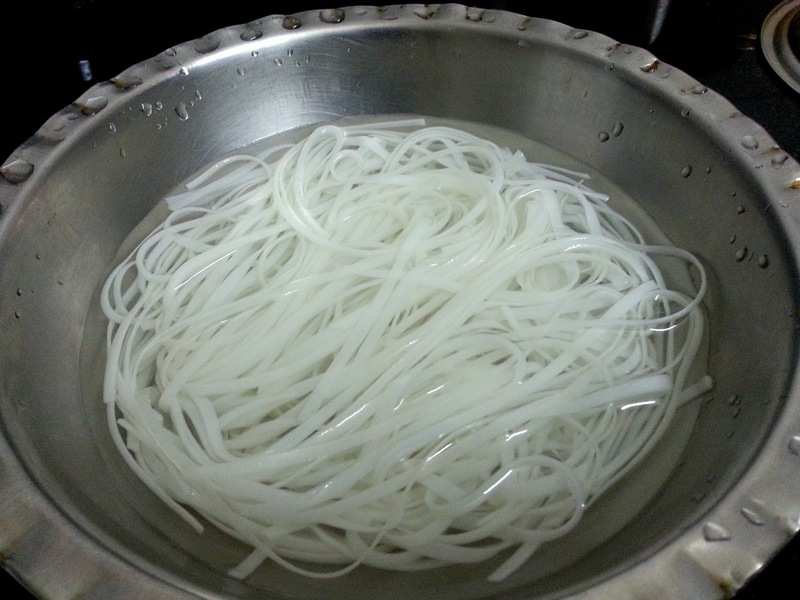 It is characterized by balance of sour, spicy and sweet flavor. Most popular dishes being Som Tam, Tom Yam Soup, Pad Thai, Red curry, Green curry, Tom Kha Gai. So coming back to Pad Thai, its a dish made with rice noodles which are usually dressed up with tofu, bean sprouts, onions and finished with roasted ground peanuts. 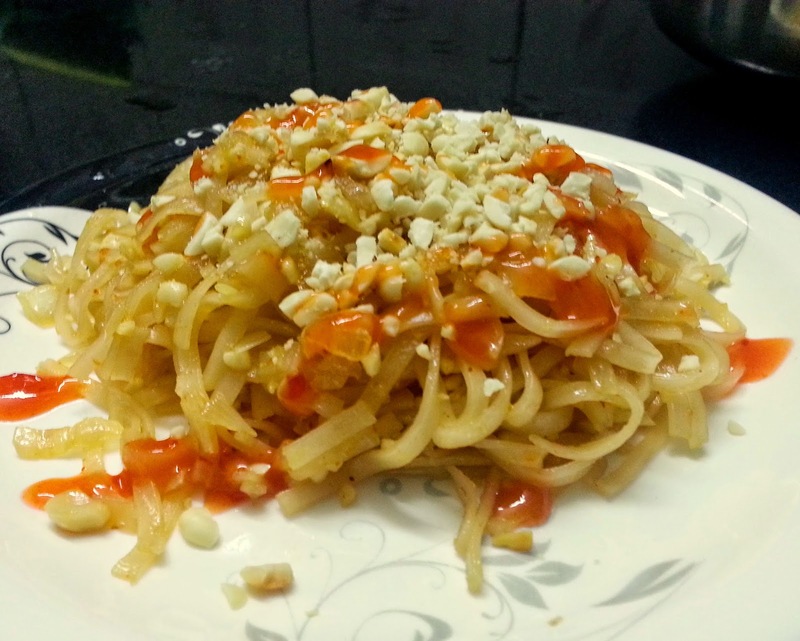 I have made it the way my bhabhi makes using just onions as the vegetable. Try to find light and thin soy available in gourmet stores. 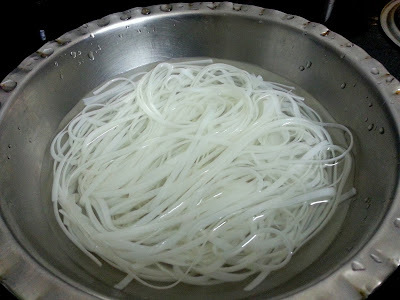 Soak rice noodles in water( room temp) for about two hours. 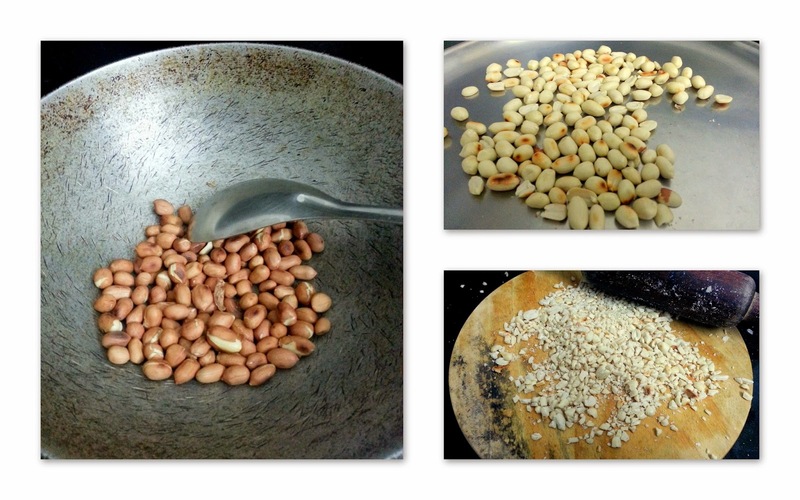 Take peanuts in a wok and roast stirring continuously for 15-20 minutes on low heat. Transfer to a plate to cool and scrap off the peel of peanuts by rubbing peanuts with your hands. Finally roughly crush peanuts using classic chakla and belan or in a grinder. In a hot wok, add 1 tbsp oil. Now add chopped garlic and cook it for about 2 minutes on low heat. Now add chopped onions and cook until onions are translucent. Finally add in rice noodles, soy sauce, sugar, red chilli powder, salt, crushed peanuts and give a good stir.